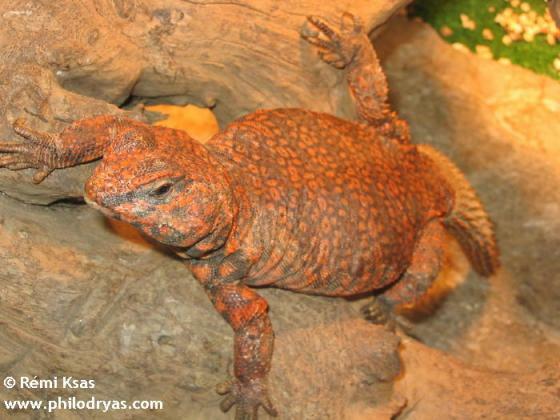 Can you confirm these amateur observations of Uromastyx geyri? Distribution South Algeria, Mali and Niger (Air and Hoggar Mountain area). Type locality: entre Aquebly et Djebbel-Hoggar, Sahara. Lectotype: Gara Djenoum, Ahaggar Mts. Algeria, S Algeria. 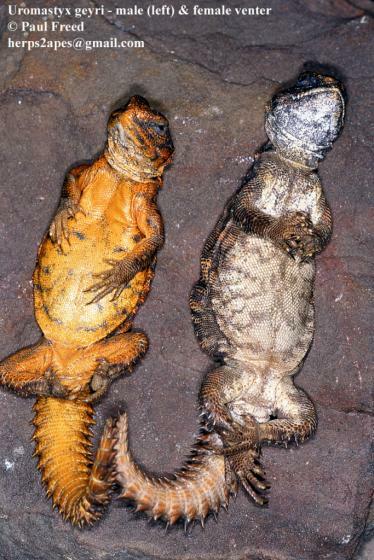 Diagnosis Differential diagnosis: U. geyri is distinguished from U. thomasi and U. princepsby the longer and narrower tail (65.45–98.06 % of SVLin U. geyri vs. 25.00–36.16 % in U. thomasiand 34.62–52.55 % in U. princeps); from the species of the U. ocellata group and U. macfadyeniby the arrangement of the annuli of the tail: last 8–21 forming a continuous scale row each (U. ocellatagroup and U. macfadyeni) vs. 2–5 whorls forming a continuous scale row in U. geyri; from U. aegyptiaand U. occidentalisby the lower scale counts around midbody (238–322 in U. aegyptia, 297–301in U. occidentalis vs. 142–196 in U. geyri), from U. acanthinura, U. nigriventrisand U. dispar by its longer tail (65.45–98.06 % of SVLin U. geyri vs. 50.27–74.42 in U. acanthinura, 47.83–70 % in U. disparand 43.48–75.14 % in U. nigriventris). 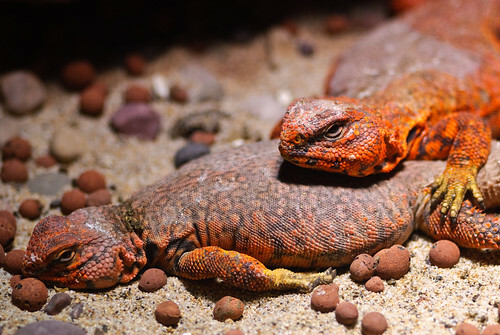 From U. alfredschmidtiit is distinguished by differences in the scalation of the flanks (enlarged triangular and imbricate scales in U. alfredschmidti vs. enlarged tubercular scales in U. geyri), as well as the complete black colouration of adult males in U. alfredschmidti. 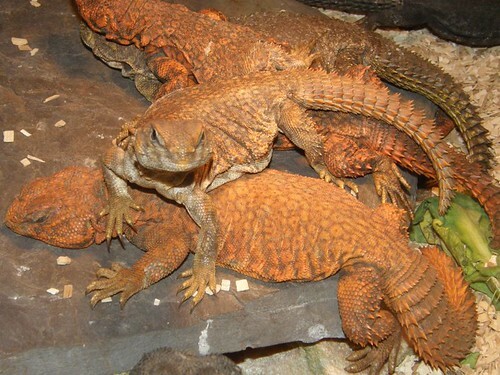 Comment Status of Uromastyx temporalis unclear. Etymology named after ornithologist H. Geyr von Schweppenburg who brought the first specimens of this species to Europe. Schleich, H.H., Kästle,W., Kabisch, K. 1996. 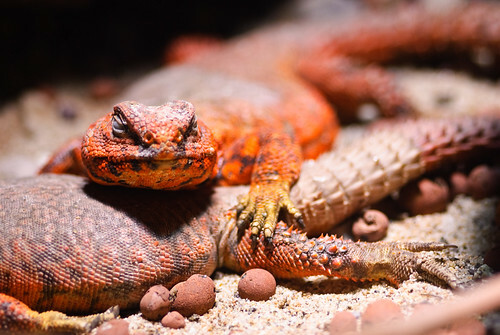 Amphibians and Reptiles of North Africa. Koeltz, Koenigstein, 627 pp.